Ammo that won't let you down. 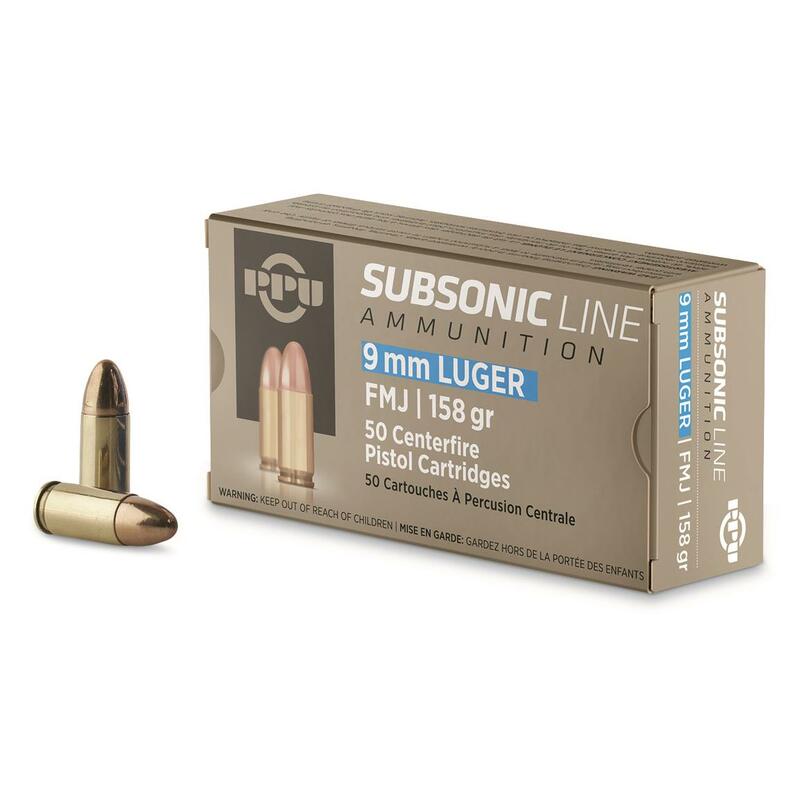 Designed for use with suppressed weapons, subsonic ammo eliminates the downrange "crack" while still delivering plenty of energy to the target. Made by Prvi Partizan of Serbia, one of the oldest and most respected European ammo manufacturers. PPU Subsonic Line, 9mm, FMJ, 158 grain, 50 Rounds is rated 5.0 out of 5 by 1.